The author and Brooklyn native recreates the magic of Ebbets field and the Dodgers in an inspiring history of the team that culminates with the exciting 1955 season. NY: HARPER & ROW.. Very Good. 1972. First Edition. Printer Wrapper. UNCORRECTED PROOF. SIGNED by Roger Kahn. A very good+ copy in plain pale-green printed wrappers with turquoise tape binding. (Chafing to front cover. 1/2"-inch crack in tape at lower spine) In over twenty years of looking we have never seen another copy. ; Signed by Author . 1973-09-07. New. Ships with Tracking Number! INTERNATIONAL WORLDWIDE Shipping available. Buy with confidence, excellent customer service! 1972-07-06. New. Ships with Tracking Number! INTERNATIONAL WORLDWIDE Shipping available. Buy with confidence, excellent customer service! Turtleback Books, 2000. Library Binding. Good. Disclaimer:A copy that has been read, but remains in clean condition. All pages are intact, and the cover is intact. The spine may show signs of wear. Pages can include limited notes and highlighting, and the copy can include previous owner inscriptions. At ThriftBooks, our motto is: Read More, Spend Less.Dust jacket quality is not guaranteed. Easton Press, 1992. Collector's Edition. Full Leather. New/No Jacket as Issued. A handsome dark blue leather Collector's Edition of this very popular book, considered as one of the best books about baseball. Originally published in 1972, this is the story of the Brooklyn Dodgers during the golden age of baseball and Kahn's experience growing up and growing older with them. With gold gilt cover and page edges, moire silk endpapers and bound-in silk bookmark. Includes the Publisher's Note and Certificate of Authenticity from Easton Press that was signed by the author in 2003. Harper & Row, 1972-01-01. Hardcover. Used:Good. Easton Press, 1992. Collector's Edition. Full Leather. Fine/No Jacket as Issued. A handsome dark blue leather Collector's Edition of this very popular book, considered as one of the best books about baseball. Originally published in 1972, this is the story of the Brooklyn Dodgers during the golden age of baseball and Kahn's experience growing up and growing older with them. With gold gilt cover and page edges, moire silk endpapers and bound-in silk bookmark. Includes the Publisher's Note and Certificate of Authenticity from Easton Press that was signed by the author in 2003. New York: Harper & Row, 1972. Book. Fine. Hardcover. Signed by Author(s). First Edition/First Printing. A solid tight over-all clean carefully read copy if at all. The 8.95 jacket has some very light edge wear, creases to the rear flap. First hand account of growing up near Ebbets Field in the Jackie Robinson years. THIS COPY IS IN MY POSSESSION AND WILL NORMALLY SHIP NEXT DAY..
1973-08-03. New. Ships with Tracking Number! INTERNATIONAL WORLDWIDE Shipping available. Buy with confidence, excellent customer service! Harper & Row. Collectible - Very Good. SIGNED BY THE AUTHOR. Hardcover w / dustjacket. Signed Copy Very good condition; edges, corners, and covers of book show minor wear. No underlining; no highlighting; no internal markings. DJ is good with general edgewear. Dedication by author on ffep. Stored in sealed plastic protection. In the event of a problem we guarantee full refund. 1972. Hardcover w / dustjacket. NY: HARPER & ROW.. Fine. 1972. First Edition. 0060122390 . Close to fine in a like dj. (Couple of small edge nicks in dj. A few tiny spects of foxing at top edge. Mild crease at head of front dj. flap) A sharp copy of this timeless favorite. .
Norwalk. : Easton Press. , 2003. . Full navy morocco, gilt decorations, raised bands, all edges gilt, silk endpapers, ribbon marker. . A fine copy as new in the original shrinkwrap. . 8vo.. Signed by the author. Condition: A fine copy as new in the original shrinkwrap. 2011-03-06. New. Ships with Tracking Number! INTERNATIONAL WORLDWIDE Shipping available. Buy with confidence, excellent customer service! 2000-04-01. New. Ships with Tracking Number! INTERNATIONAL WORLDWIDE Shipping available. Buy with confidence, excellent customer service! 1987-02-08. New. Ships with Tracking Number! INTERNATIONAL WORLDWIDE Shipping available. Buy with confidence, excellent customer service! 2006-05-09. New. Ships with Tracking Number! INTERNATIONAL WORLDWIDE Shipping available. Buy with confidence, excellent customer service! New York: Harper & Row, 1972. First Edition. Illustrated. xxii, 442 pp. 1 vols. 8vo. Cloth. Fine in unclipped fine dustjacket. First Edition. Illustrated. xxii, 442 pp. 1 vols. 8vo. A book that uses the Dodgers as a metaphor for life in America between the 1930's and 1970's. Norwalk CT: Easton Press , 1992. This is The Easton Press "Collector's Edition", bound in genuine leather and signed by Roger Kahn. laid in is a card "A note about The Boys of Summer and the author Roger Kahn.". Also laid in is The Easton Press Bookmark and The Easton Press Certificate of Authenticity, which is signed by Roger Kahn, a witness and the Publisher. 442 pages. Part of The Easton Press Signed Modern Classics Series. . Signed By Author. Leather. As New. 5 5/8 x 8 1/2 ". New York: Harper & Row. 1972. First Edition; First Printing. Hardcover. 0060122390 . Very Good+ in a Very Good+ dust jacket. First Edition stated. Scuffing to page edges. Creasing to front panel. ; 8.50 X 5.70 X 1.50 inches; 442 pages; Original unclipped dust jacket protected by archival Brodart cover. All domestic orders shipped protected in a Box. .
New York, Evanston, San Francisco, London: Harper & Row, 1972. 1st Edition . Hardcover. Very Good/Very Good. 8vo - over 7¾ - 9¾" tall. Author recounts his Brooklyn youth and stint at the Herald Tribune while relating the history of the Dodgers through the 1950s and subsequent lives of the players. Stated first edition. No writing, marks, underlining, or bookplates. No remainder marks. Spine is tight and crisp. Boards are flat and true, and the corners are square. There is some foxing to the edges of the book, but this is minor. Dust jacket shows some shelf wear, mainly to the edges, as well as a bit of browning and two small (1/8") white spots on the front cover that are hardly noticeable. Overall, this is a nice, clean copy. This collectible, very good, first edition/first printing copy is protected with an archival mylar dust jacket cover. Satisfaction guaranteed! 1973-03-01. Good. Ships with Tracking Number! INTERNATIONAL WORLDWIDE Shipping available. May not contain Access Codes or Supplements. May be ex-library. Shipping & Handling by region. Buy with confidence, excellent customer service! New York: Harper & Row, Publishers, 1972. First Edition. Cloth. Near fine/near fine. Octavo, xxii, 442pp. Beige cloth, title in silver gilt along spine, band of silver cloth along bottom. Stated "first edition" on copyright page, with number line on Page 442 (72.73,74,75,10,9,8,7,6,5,4,3,2,1). Blue endpapers. Spotting along leaf ends, not affecting text or internal bindings. 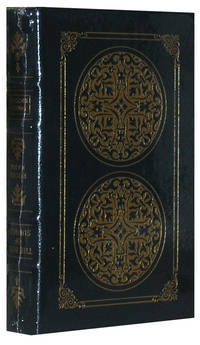 Publishers first edition dust jacket, near fine, with $8.95 price on front flap, wear to internal rear flap along edges. An excellent copy. Author Roger Kahn follows the history of the Brooklyn Dodgers through their 1955 season, which took them to the World Series. Harper & Row. Used - Good. Hardcover w / dustjacket. Good, average condition for its age. Book has been read but remains straight, clean, and tight. No internal markings. DJ is Good. Stored in sealed plastic protection. In the event of a problem we guarantee full refund. 1972. Hardcover w / dustjacket. 1972-05-06. Good. Ships with Tracking Number! INTERNATIONAL WORLDWIDE Shipping available. May not contain Access Codes or Supplements. May be ex-library. Shipping & Handling by region. Buy with confidence, excellent customer service! New York: Harper & Row. 1972. First Edition; First Printing. Hardcover. 0060122390 . Very Good in a Very Good+ dust jacket. First Edition stated. Scuffing to page edges. Toning to pages. Scuffing to front and rear panels. Edge wear. ; 8.50 X 5.70 X 1.50 inches; 442 pages; Original unclipped dust jacket protected by archival Brodart cover. All domestic orders shipped protected in a Box. .
Easton Press, 1992 Beautiful Easton Press Deluxe Collector's Edition bound in gilt-stamped & decorated brown full-leather with 3 raised spine hubs, all page edges gilt, moire fabric endsheets & satin ribbon marker bound-in, 1st Printing Thus, illustrated by Frank Mayo, unused Easton Press bookplate laid in, a Gift Quality new leatherbound copy of Roger Kahn's baseball classic; 8vo; 442pp illus. First Edition. Full-Leather. New. New York: Harper & Row. 1972. First Edition; First Printing. Hardcover. 0060122390 . Very Good in a Good dust jacket. First Edition stated. Toning to pages. Scuffing to page edges. Scuffing and toning to panels as well. Closed tear to lower front panel. Chips and wear to crown and heel. Creasing to upper rear panel. ; 8.50 X 5.70 X 1.50 inches; 442 pages; Original unclipped dust jacket protected by archival Brodart cover. All domestic orders shipped protected in a Box. .
Harper & Row, 1972. Book. Very Good. Hardcover. Condition: Very good. Clean. No previous owner's markings. No clipping. Not ex libr. Dust cover has ssome edgewear most noticeable at top and tail of spine and lower right corner. Stated first. Harper & Row. 1972, Sports.Baseball. Growing up within shouting distance of Ebbets Field..
New York: Harper and Row, 1972. 1st Edition. Hardcover. Near fine/near fine. 1st Edition. Hardcover. Crease front flap of dust jacket, 2 small chips heel of spine dust jacket, light shelf wear. The Classic by Roger Kahn. Review papers laid-in. New York: Harper and Row, 1972. Review Copy. Hardcover. Near fine/near fine. Review Copy. Hardcover. Crease front flap of dust jacket, 2 small chips heel of spine dust jacket, light shelf wear. The Classic by Roger Kahn. Harper & Row Clean and unmarked. Price not clipped.. First Edition. Hard Cover. Like New/Like New. Place_Pub: New York: Harper & Row, 1972. First Edition. very good, good. 442, illus., some wear to DJ edges. An account of the Brooklyn Dodgers of the 1950's--the team that broke the color barrier with Jackie Robinson and set many other records besides--and what happened since to Jackie Robinson, Carl Erskine, Preacher Roe, Pee Wee Reese, Billy Cox, Roy Campanella, Carl Furillo, and the others. New York: Harper & Row, 1972. First edition. Hardcover. Very Good/Very Good. 442 p. Numerous textual photographs. A masterpiece of sports literature, chronicling the mid-20th-century Brooklyn Dodgers, the team of Robinson and Snyder and Hodges and Reese, a team of great triumph and historical import composed of men whose fragile lives were filled with dignity and pathos. Roger Kahn, who covered that team for the New York Herald Tribune, makes understandable humans of his heroes as he chronicles the dreams and exploits of their young lives, beautifully intertwining them with his own, then recounts how so many of those sweet dreams curdled as the body of these once shining stars grew rusty with age and battered by experience. Octavo. Original beige and light blue cloth binding, with silver titles. Internally crisp and clean. Light wear to the dust jacket, with a faint stain to the rear panel; otherwise very good or better. New York: Harper & Row. Hardcover. one of my ten best sports books of the second half of the 20th century. closed tear. . Fine. 1972. First Edition. Signet. MASS MARKET PAPERBACK. 0451084934 New Condition. . New. Signet. MASS MARKET PAPERBACK. 0451134338 New Condition. . New. HarpPerenM. PAPERBACK. 0060956348 New Condition. . New. Harpercollins. PAPERBACK. 0060914165 New Condition. . New. Signet. MASS MARKET PAPERBACK. 0451099540 New Condition. . New. Harper Row. Hardcover. 060122390X 1972 Harper & Row hard cover - 1st edition 1st printing - price clipped - some wear to dust jacket (now in mylar cover) minor staining to page edge - otherwise cover fine binding strong contents clean - enjoy . Very Good. 1987-02-08. Good. Ships with Tracking Number! INTERNATIONAL WORLDWIDE Shipping available. May not contain Access Codes or Supplements. May be ex-library. Shipping & Handling by region. Buy with confidence, excellent customer service! 1973-08-03. Good. Ships with Tracking Number! INTERNATIONAL WORLDWIDE Shipping available. May not contain Access Codes or Supplements. May be ex-library. Shipping & Handling by region. Buy with confidence, excellent customer service! 2000-04-01. Good. Ships with Tracking Number! INTERNATIONAL WORLDWIDE Shipping available. May not contain Access Codes or Supplements. May be ex-library. Shipping & Handling by region. Buy with confidence, excellent customer service! Norwalk, CT: Easton Press. Fine with no dust jacket. 1992. Full Leather. Fine full leather edition, no names or bookplates. ; 8vo 8" - 9" tall; 442 pages .